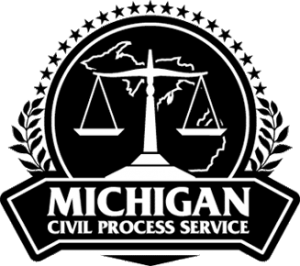 Our Michigan process servers and Court Officers serve civil process throughout Metro Detroit and the rest of Southeastern Michigan. Our Michigan process servers and Michigan District Court Officers will provide you with the speed, consistency and reliability you deserve. We serve process in Wayne, Oakland, Macomb and Genesse Counties, Daily and for a fixed fee. No hidden charges, no excessive mileage. All serves in these counties will be attempted within 24 hours of receipt. Summon & Complaint, Subpoenas, Garnishments and all other civil process. Proof of Service and Affidavit returned promptly. If substitute service is required for papers derived from a Michigan court, we can prepare the Motion and Order for Substitute Service and return it ready to file to save you time! Stop worrying and start getting results from a team of Michigan Process Servers working throughout Southeastern Michigan! Fast Turnaround! Fixed Rate! No Hidden Charges! Need to find’em, before they can be served? We do that too. We have a veteran staff of “skip tracers”, who utilize state of the art software with extensive experience to locate parties quickly. Most of this work can be done with out the investigator ever having to leave our office. This SAVES YOU MONEY! !